Espanyol vs Sevilla predictions for this Sunday’s game in Spain’s La Liga as Pablo Machin’s men seek a much-needed away win. Read on for our free betting tips and predictions. This Sunday’s clash in La Liga sees Sevilla return to action less than 72 hours on from a bitterly disappointing night in Europe. They travel to Barcelona to take on an Espanyol side that has turned a corner over the past month and is hoping to kick on and enjoy a strong end to the season. Morale and energy levels in the Sevilla camp may well be at a fresh low here. They bowed out of the Europa League in dramatic circumstance in Prague on Thursday evening. 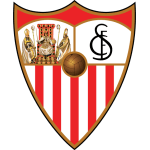 A goal late in Extra Time sent them to a 4-3 defeat on the night as Sevilla exited a competition that has come to define them. That had serious consequences for Pablo Machin who was sacked on Friday with veteran Joaquin Caparros returning to steer the club to the end of the campaign, something he managed skillfully last term. Espanyol by contrast have had a much calmer week and will be hoping that works to their advantage here. They last played at Athletic Bilbao, drawing 1-1 and they are boosted by the return from suspension of Borja Iglesias and Sergi Darder here, two significant players in their side. Overall, you have to fancy the hosts to have the edge here. Sevilla have been desperately poor away from home, another factor in Machin’s dismissal. They’ve lost 5 straight away games in La Liga heading into this, scoring just once and even bottom club Huesca beat them in their most recent away victory. It’s 10 without a win on the road in La Liga overall for them now. Fatigue has become a major factor too and having played 120 minutes in Eastern Europe on Thursday night, that has to count against them here. Caparros did well at the end of last term but it may only be after the international break that we really start to see a response as Sevilla can finally focus on the league and the push for 4th place. Espanyol are over their miserable winter and come into this one unbeaten in 6 in La Liga. With a 62% home win ratio this term in the Spanish top flight, backing Espanyol to Win looks like the way to go here. Backing Borja Iglesias to score anytime also appeals. He was on target in his last game to move on to a very respectable 11 goals for the season from 24 starts in La Liga. Espanyol have only won one of their last 16 LaLiga games against Sevilla (D4 L10), last doing so in January 2017 under Quique Sánchez Flores (3-1). Espanyol are unbeaten in their last eight LaLiga games (W2 D4), after winning only one of the previous 10 (L9). Sevilla are winless in their last 10 LaLiga away games (D4 L6), losing each of the last five. The last time the Andalusian side lost six or more consecutive away games in LaLiga was in January 2000 (7). Sevilla have won 68 games against Espanyol in LaLiga and have scored 235 against them, more than against any other side. Espanyol have lost two of their last three LaLiga home games against Andalusian sides (W1) after winning the previous four. Wissam Ben Yedder has been involved in the Sevilla’s last five goals in LaLiga away from home (three goals and two assists). Espanyol’s Wu Lei has been involved in two goals in his two last LaLiga games (one goal and one assist). Sevilla’s Pablo Sarabia has scored nine goals in LaLiga this season, his best tally in his eight seasons in the competition. Espanyol’s Joan Francesc Ferrer “Rubi” is winless in his three LaLiga managerial games against Sevilla (D1 L2), each game in charge of a different side (Sporting de Gijón, Levante and Espanyol). Sevilla’s Pablo Machín was victorious in his only managerial away game in LaLiga against Espanyol, 1-0 in LaLiga 2017-18 in charge of Girona.